Here at Helvey & Associates we are a premier provider of accounts receivable management and call center services. Since our beginnings in 1955, H&A has grow to become one of the largest privately owned, full service collection agencies and call centers in the Country. We are proud to serve clients across our country. Large or smaller clients, our team and systems provide flexible, innovative, and personalized service for you and your clients. Just like no two patients are alike, neither are the revenue cycles at different companies. Whether you’re big or small, critical care or full-service hospital, our team and systems will provide flexible, personalized service for you and your clients. At Helvey & Associates, we’re big enough to handle national accounts, while also small enough so that you won’t feel lost in the shuffle. With over 60 years experience, we know how industries move and change. We’ve learned that client input is critical to building strategies that generate positive results. Our team will listen to your needs and use our strategic planning, technology, and people to create an action plan that will bring you results. Rest assured that your client is our client. With every interaction, we will remain focused on the preservation of your client relationship. We do this by sending our team members to an intense, six-week training program to build a strong customer service foundation. Additionally, all calls are recorded and we can offer you the ability to review any of those calls. We’ll also provide you with a dedicated customer service team, so you can get to know our team members and always have just one number to call for reporting, questions, or directional requests. Simply put, we’re here to serve you. Building relationships is central to who we are and we'll work hard to prove that to you. Access to our leadership is always available if questions or directional changes arise. We'll always go the extra mile to show we care. We’ve built a strong reputation with our clients by standing behind our statements and following through on ideas. By doing this, we’ve grown from a small family business to where we are today. Many of our clients have rewarded us with their loyalty through the years. Several have been with us for over 20 years. Results matter. Our team will continually evolve and shift our systems and tactics to ensure that we are producing the desired results for you, every time. To be ethical, fair, and professional in all conduct and relationships. To secure longevity of our business by remaining profitable through growth, diversification, and reinvestment. To challenge our employees to achieve their best and compensate them fairly for performance. To maintain a diversified base of clients and prospects who operate in a professional and ethical manner. To meet client needs by providing a variety of innovative products and services. To use resources which provide the most cost-effective, efficient, and reliable service. To be known as a premier provider of receivables management and contract center services. Helvey & Associates is led by hands on leadership, along with directors and managers who have spent their entire careers in the collection industry. Active involvement in the day-to-day operations of our business starts with our senior management team and extends throughout every level of our organization. Our combined experience of over 100 years is a tremendous resource, which we look forward to utilizing on your behalf. 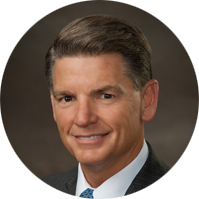 Mr. Byers was named Helvey & Associates President/CEO in 1998. With overall responsibility for corporate strategy and organizational effectiveness, Mr. Byers works directly with officers and directors in the sales, operations, finance, and technical areas. In addition to more than 30 years in the collection industry, Mr. Byers has extensive experience in the finance and technology fields. 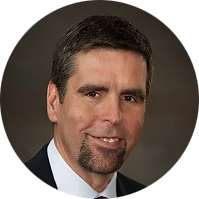 Mr. Byers is active in ACA International and a thought leader amongst his peers within the industry. Mr. Byers holds a degree in Business Administration from Grace College. 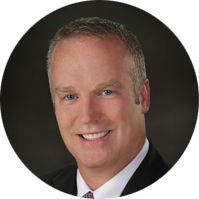 Mr. Williamson brings experience from more than two decades in operational roles to Helvey & Associates. As Chief Operations Officer, he is responsible for all day to day Call Center Operations. Mr. Williamson has extensive Operations and Technology Management experience in the Retail, Financial, Developmental Rehabilitation, and Education industries. Mr. Williamson holds degrees from Grace College and the University of Grenoble. 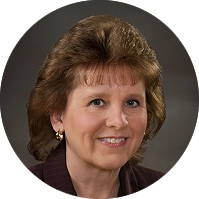 Ms. Finley joined Helvey & Associates in 1997 and holds the position of Vice President of Finance. She has a comprehensive background in financial management and extensive accounting experience. At Helvey & Associates, her primary focus is in fiscal management and analysis. Direct responsibilities include issuing financial statements, evaluating and maintaining internal controls relating to cash, as well as overseeing other finance-related functions. Ms. Finley holds a degree in Accounting from Grace College and is a Certified Public Accountant. Mr. Minear brings the H&A team over 20 years of customer service, operational and leadership experience. As Vice President of Sales & Marketing, he is responsible for expanding the product and service portfolio; insuring quality customer service for our current client base and expanding the customer base through comprehensive sales and marketing programs. His broad background at two Fortune 100 companies; holding recent positions of COO and President, Adjunct Professor at two regional colleges, his service in the United States Army, all serve him well in the capacity to recognize and engage the client and our message. Mr. Minear holds a Business Management degree from the University of Phoenix and an MBA from Indiana Wesleyan University.